Tourists already have a variety of options when trying to work out what to do based on their mood. In the US, UK and Canada the I Feel London site, which groups activities by participant mood — energetic, sophisticated, hungover — is one such example. 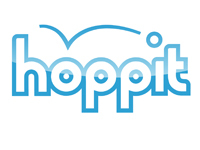 Taking a similar concept and applying it to restaurants, Hoppit is the first site to provide a dining-out search engine which filters its results based on the ambience of venues. Based in Manhattan and currently available in 25 cities in the US, each restaurant in the Hoppit database is tagged with one of ten “vibes” or types of atmosphere. These include ‘classy & upscale’, ‘hipster’, ‘romantic’ and ‘cozy & quaint’, among others. Users can manage their search results based on these categories, as well as the type of people they will be dining with – whether friends, family, business associate or date — the food they would like to eat, and the noise volume they would like to experience. Hoppit then displays a list of the nearby restaurants suited to the user’s plans and mood. The service uses “natural language processing technology and algorithms” to sort its data, which draws on existing online reviews. Search results are complemented by food and drink deals through sites such as Groupon and Gilt City, which are shown beside the restaurant options. via Site helps users choose restaurants based on atmosphere | Springwise. Over the past 12 months, a growing number of brands has turned to pop-up activity to provide a burst of PR activity and another reason for consumers to interact with their brand – hopefully ensuring that the effect of these events are going to last even after the shutters come down. The last news about a pop-up store is related to Marni, the Italian fashion brand, located at the Ocean Centre in Hong Kong and featuring the whole Marni Edition. 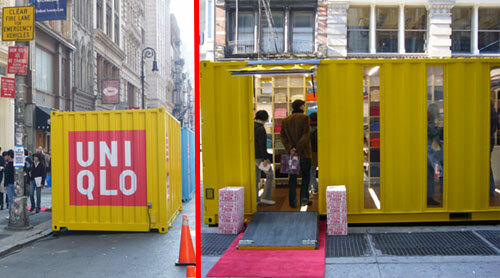 The pop-up phenomenon dates back 2004, when fashion brand Comme des Garcons opened a guerrilla store in Berlin, followed by a long list of known brands, such as ony Ericksson, Levi’s, Breil, Uniqlo or the most recent ones of Apple, Nokia, and Adidas Originals. The pop-up strategy allows brands to tap into new markets at low cost, as rents are cheap and the ‘concept store’ strategy creates a buzz without investing in advertising. Even thought they are an excellent way to deliver a brand experience there is a question over their reach, as they engage only those consumers who actually visit. Jeremy Rucker, head of Hotel Retail, experiential agency RPM’s pop-up and retail division, says the growth of pop-up activity is partly in response to the levels of empty retail space on high streets. ‘With so many brands turning to online-only channels, pop-up activity helps bring excitement back to the high street,’ he adds. Claire Stokes, managing director of experiential agency The Circle Agency, adds: ‘Previously, when brands have talked about experiential, it has been all about being in the live space. Now it is about building new digital layers to ensure the halo effect of any given event stretches beyond just one single event.’ For example, when EA Games promoted its key Christmas video-game releases in shopping centres, it encouraged consumers to ‘check in’ to win titles. More than 3000 consumers took part, promoting the event far beyond the boundaries of the event venue. However, the fact that even retail brands with a consistent high-street presence are turning to pop-up activity perhaps suggests that brands should be creating the excitement of a pop-up shop in their existing retail space every day. Hardy argues that this is not possible, as the ‘focus is on getting the maximum return per square foot’. Caroline Wurfbain, client services director at experiential agency Jack Morton Worldwide, predicts that more brands will launch pop-up activity over the next 12 months. ‘The challenge is that if ideas don’t change, there is a risk that the market will become saturated and consumers will get bored,’ she adds.